The daily commute can affect everyone’s morale sooner or later. All can experience a heavy toll physically, mentally, and even financially while traveling. The commute to and from the school – on time and under strict schedules, no less – can make one’s head spin. The same goes for workers everywhere. The commute adds frustration to an already stressful work environment. Most of the time, people simply acknowledge the pains of commute as being a part of daily living. But what if it does not have to be that way? 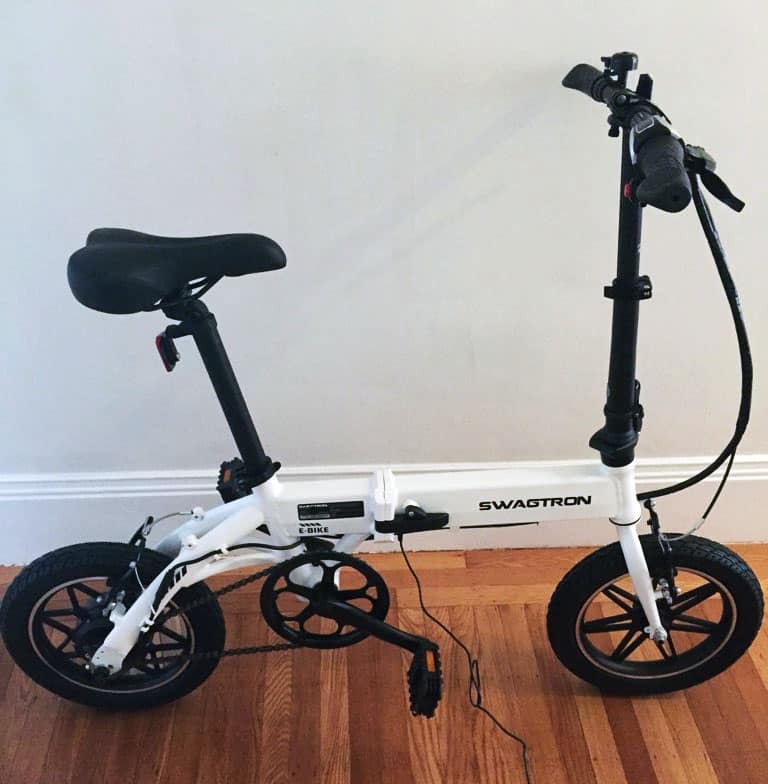 The Swagtron EB5 Folding Bike is a great alternative for commuters everywhere. It is a well-made electric bike, which combines features of modern technology with the fundamentals of a classic bicycle. Due to its electronic nature, you do not have to do all the hard work while riding. Of course, because it is electric, you have to charge it regularly. The good news is that you do not have to worry about it constantly. The frequency of charging depends solely on how far your regular commute is. One full charge of the Swagtron EB5 takes about 5 hours and can provide a travel distance of 15.5 miles (25 kilometers). Even for those with longer commutes, the bike’s charge can last days, if not entire weeks before needing a refill. Aesthetically, the Swagtron EB5 looks sleek and modern. The design fits in with today’s modern lifestyle; a more minimalistic approach than your standard bike, and has a futuristic aspect to it. Another great thing about it is its foldable design. It can shrink more than half its full size, making it possible to fit in smaller spaces when not in use. Most of its parts can fold easily to create a more compact creation. Essential parts of the bike, like the pedals, handlebars, and even the main frame itself can fold. This saves you a lot of room, while also being easier to carry and travel with. Riding a bike is a great middle ground between walking and using a car. Even the most primitive of bikes can take you places faster than walking, while being cheaper than a car. A bicycle ride is often more enjoyable as well, since you can reach great speeds while breathing in the fresh air. Walks tend to be slower – for better or worse. Cars are fast, but often times you never get to enjoy the scenery. A bike ride can relieve you of the stresses of daily living. In fact, it can even be a therapeutic experience, taking you away from all the noise, demands, and problems of life. Those interested in acquiring the bike are in luck – their official store page is offering a $50 discount for a limited time only. This not only gives you a great form of reliable transport, you get to save a bit of money on purchase as well. No assembly required, as the bike will arrive at your home all set up and ready to go.